Moose Jaw used a six run fifth inning to beat their Highway 1 rivals 10-3 on Wednesday at Ross Wells Park. The fourth-place Miller Express played spoiler as they put a wrench into the Red Sox' quest for first place in the Eastern Division. Moose Jaw starter Grant Westmoreland was dominating on the mound for the Miller Express. The senior from the University of Houston-Victoria made his fourth start of the year a memorable one. Westmoreland earned his fourth win throwing seven innings giving just one run on three hits and two walks. He also had two strikeouts. Jake Waters pitched four innings in his ninth start of the year for the Red Sox. He left the game after allowing a run on three hits and five walks. Preston Minor came into the game in the fifth inning and gave up five runs on six hits in just two thirds of an inning. Minor took the loss, his first of the 2017 campaign. Sydney, Nebraska native Lane Harvey had 3 hits, 1 walk, and 2 RBI and a run in helping Moose Jaw pick up their 22nd win of the season. Scott Platt added two hits and an RBI in the game for the Express. The Red Sox bats were silenced in the game as they only managed seven hits and three walks. Broderick Rodocker and Aden Campbell each had a double. 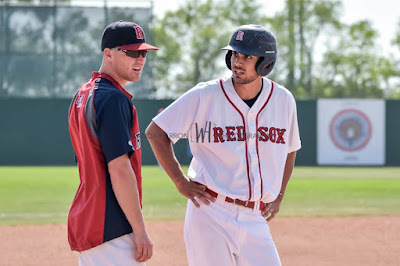 Regina now, 27-16, return to the diamond on Thursday in Weyburn and then will host a double header against Swift Current on Friday at Currie Field.